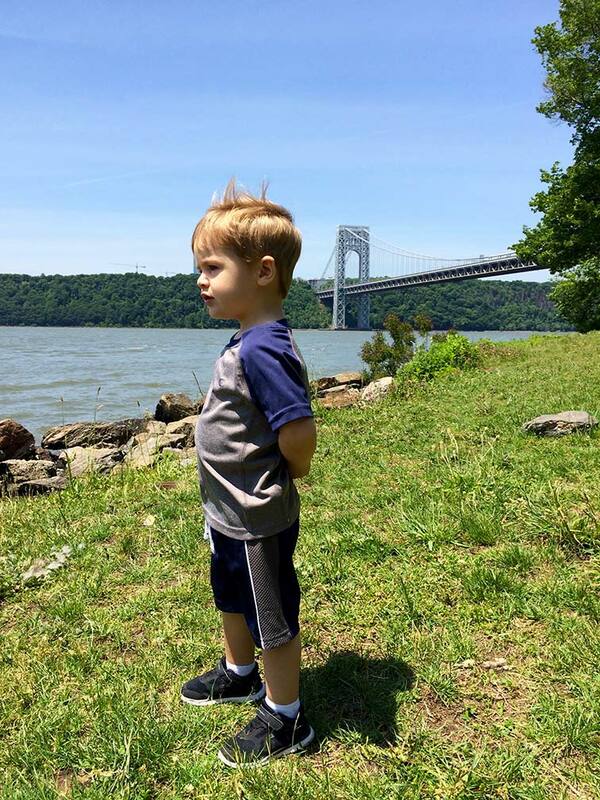 Yesterday Henry and I took a bicycle ride up the West Side, past the George Washington Bridge and back. Henry met a new friend named Brandon at the playground today. They ended up hitting it off, laughing, running around, playing with their cars. Brandon is not from the neighborhood so Henry enjoyed showing him some other hangouts (playgrounds). Both boys were disappointed when we had to call it a day, but we hope to meet up with him (and parents) again sometime soon. Henry and Brandon at The Real World playground. Henry and I ventured out of the neighborhood once again today. We went to the Prospect Park Zoo which seemed like just the right size for someone his age on their first visit to a zoo. Henry was very enamored of the birds, but got quite spooked when a mountain goat tried to lick his hand. One side note: there were cows and sheep on display. This made me laugh because I grew up seeing both animals often, but they must look exotic to city kids. After seeing some real baboons, we went to the LeFrak Center at Lakeside, which has a big sprinkler area for kids. I can’t speak for Henry, but judging from his reactions, I would venture to say, he had a great day (so did I). Wild turkeys. He is not feeding them grapes.